This past Saturday my faithful loyal hubby and I began the season of canning the bounty of our harvest. 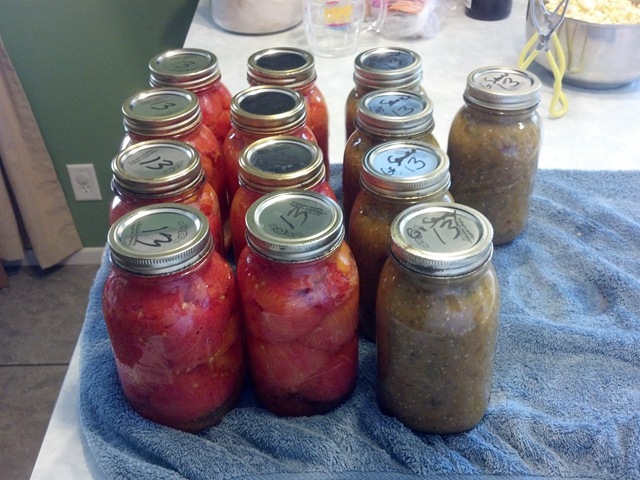 We canned 8 qts of tomatoes and 5 qts of our green sauce! The garden is going well so I’m hopeful this is merely the beginning. It’s so wonderful to look on my shelves and see these beautiful bottles and know that long after the growing season is gone we will have yummy food to eat. We recently spent a long weekend at our cousins condo in the mountains. They have a beautifully appointed kitchen there with all the bells and whistles, but all of my kids and grandkids were going to be there and I didn’t want to spend every minute in the kitchen. Another reason to bring things prepared was that a grocery store was 45 minutes away, so bringing it all prepared cut down on the chance that we would forget an important ingredient. Just some notes on canning basics, since I'm starting to fill in canning recipes. You can buy new jars as needed, you can buy jars at thrift stores or go through grandmas garage and collect her old ones. All you really need to know is; are there any cracks? Is the rim chipped or intact? I have jars that are probably 50 years old and they work fine. Just inspect them before each use and throw away cracked or chipped ones. I love my steam canner! It’s an old one my mom had and I have used and used it and have loaned it out numerous times. However….I am constantly losing the instructions or I don’t get them back when I loan it out. So with that in mind I’m copying the instructions here. 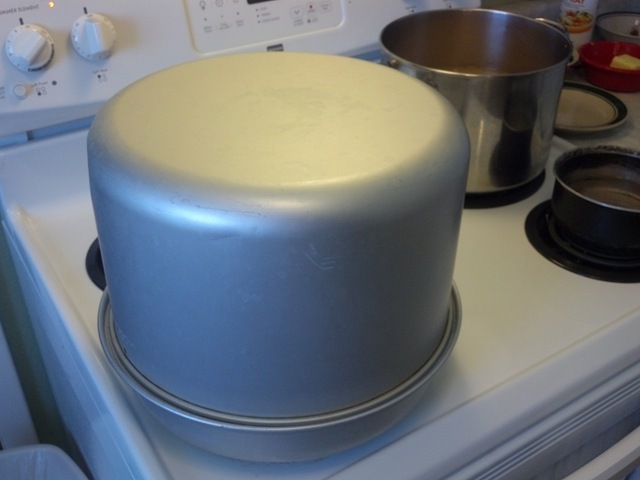 If it’s helpful to you, to learn or use a steam canner, great! But mostly this is so I’ll always be able to find my instructions!! There are canning recipes in the recipe box for which I have used the steam canner, it’s very useful.